“I have been in property management for 30 years. I have always kept an open mind when new companies or products came out. 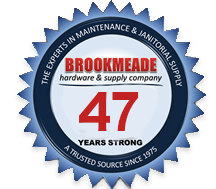 I give them a chance, but I always go back to Brookmeade Hardware. You will not find a better company with such a wide variety of products.